Will FDA, whose current commissioner Robert Califf helped conduct the controversial Xarelto trial, re-analyze the safety of Xarelto with an ‘independent’ eye? Oct. 7, 2016 – San Diego, CA — The prestigious medical journal BMJ accused Johnson & Johnson’s pharmaceutical division Janssen of withholding critical trial data from medical journals and the U.S. Food and Drug Administration in a revealing press release issued Sept. 29. The journal said Janssen withheld data about a faulty blood testing device used during the clinical trial that later led to the approval of the blood thinning drug Xarelto (rivaroxaban) in 2011. The journal launched an investigation into the ROCKET AF study, which was published in the New England Journal of Medicine in 2011. The study compared the safety and effectiveness of Xarelto compared to the older blood thinner warfarin in preventing strokes in patients with a heart condition known as AFib, or non-valvular atrial fibrillation. Researchers used the faulty blood monitoring device during the trial to measure how much warfarin patients in that study arm should be given. That device, called the INRatio Monitor System, was later recalled by its manufacturer Alere because its results were not always accurate. The device was permanently removed from the market this year and is now the subject of a number of new lawsuits. The BMJ’s investigation reportedly revealed that Janssen executives knew early on in the trial that there were concerns over the device. Janssen even launched a safety program to check the reliability of the blood monitor’s results against results from an independent laboratory, the BMJ reported. According to the journal’s investigation, led by BMJ Associate Editor Dr. Deborah Cohen, Janssen did not reveal the results of their own safety investigation to regulators, or any other party for that matter. “… Janssen failed to share these data with the trial’s safety monitoring board, Bayer (co-developer of [Xarelto]), and the FDA prior to drug approval, despite the safety of trial participants potentially being compromised,” the press release issued by BMJ states. Now, the journal is asking if it can trust the results of the ROCKET AF trial at all. Doctors and researchers called for an independent investigation into the data after the BMJ first raised concerns about the validity of the trial results in February this past year. Both Janssen and Bayer said it had conducted an “independent reanalysis” of the data and that the device had not affected the outcomes of the trial, which showed Xarelto to be noninferior to warfarin for the prevention of stroke. One of the trial investigators and former head of the Clinical Stroke Research Group at Helsinki University General Hospital Markku Kaste told the BMJ, however, that the data should have been shared with investigators and regulators regardless. “I now have some doubts about the validity of ROCKET AF trial. It possibly skews the data in favour of rivaroxaban,” Dr. Kaste told BMJ. Marciniak’s concerns are not unwarranted. According to a review published in February 2016 by the European Medicines Agency (EMA), the European equivalent to the FDA, “discrepancies of potential clinical relevance” were found in about 35% of samples taken from patients at 12 and 24 weeks during the trial. Analysis also showed that the larger the difference between the INRatio readings and the independent laboratory readings, the higher the rate of major bleeding, as reported in BMJ’s press release. As Dr. Kaste said, this could have skewed the results of the study in Xarelto’s favor. More worrying is the fact that patients were potentially put at risk because of the device failure. INR, or international normalized ratio, measures how long blood takes to clot and helps doctors determine how much warfarin to give patients. If the INRatio device was giving doctors a higher INR result during the study, it could have increased bleeding risks in those patients taking warfarin. This could make Xarelto look like it caused less bleeding in patients compared to those taking warfarin during the trial. But some doctors and researchers are questioning how “independent” the New England Journal of Medicine’s re-analysis of the ROCKET AF trial really was. Employees from both Janssen and Bayer are members of the executive committee that carried out the re-analysis, the BMJ press release states. Dr. Robert Califf, current commissioner for the FDA, former researcher for Xarelto clinical trials. 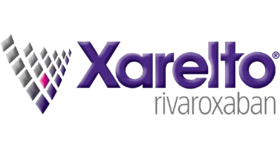 Will the FDA re-evaluate its approval of Xarelto? As it stands, both the EMA and FDA have not changed their recommendations about the use of Xarelto. According to the BMJ, the FDA is still investigating the results of the ROCKET AF trial in light of the recent controversies. 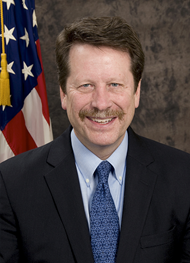 At the head of the FDA, however, sits Dr. Robert Califf, current commissioner of food and drugs for FDA and former professor of medicine at Duke University. Duke University’s Clinical Research Institute was commissioned by Johnson & Johnson and Bayer to conduct the ROCKET AF study between 2006 and 2010. Dr. Robert Califf, now the top official at the FDA, helped conduct the ROCKET AF study that is now under fire. He was appointed to the top position in February 2016, merely a year after joining the FDA, and the same month the BMJ raised concerns about the trial. Could this apparent conflict of interest keep the FDA from reviewing the validity of the study without bias or prejudice? There are over 10,000 lawsuits against the maker of Xarelto pending in federal court as of Sept. 15, 2016. The lawsuits allege Xarelto caused uncontrollable major bleeding in patients – some of whom died as a result. There is currently an antidote under development for Xarelto and other Factor Xa anticoagulants, but the FDA has asked for more clinical data showing it is safe and effective before it approves it.